Ellen Perry recently sat down with Chevy Chase Trust to talk about the question she gets asked most frequently from wealthy families. Amy Raskin, Chief Investment Officer, appeared on CNBC's Fast Money Halftime Report on February 4, 2019 to discuss current market conditions and what they mean for investors. Amy Raskin, Chief Investment Officer, appeared on CNBC's Fast Money Halftime Report on August 28, 2018 to discuss current market conditions and what they mean for investors. Amy Raskin, Chief Investment Officer at Chevy Chase Trust, recently discussed market conditions and what they mean for investors on CNBC’s Fast Money Halftime Report. We are asked a lot of questions about when and how to speak to the next generation about wealth. So as food for thought, we are sharing the answers. Food for Thought: Why Invest in Individual Bonds Versus Mutual Funds and ETFs? We receive a lot of questions about investing in individual bonds versus mutual funds, so as Food for Thought we are sharing the answers. At Chevy Chase Trust’s 2017 Fall Investment Symposium, Spencer Smith, Head of Institutional Investing, discusses the thematic research process. To view highlights from Spencer’s presentation, click here. To view his full presentation, click here. At Chevy Chase Trust's 2017 Fall Investment Symposium, Spencer Smith, Head of Institutional Investing, discusses the thematic research process. At Chevy Chase Trust’s 2017 Fall Investment Symposium, Tap Chibaya, Equity Research Analyst, presents the theme of U.S. Urbanization. To view highlights from Tap’s presentation, click here. At Chevy Chase Trust's 2017 Fall Investment Symposium, Tap Chibaya, Equity Research Analyst, presents the theme of U.S. Urbanization. 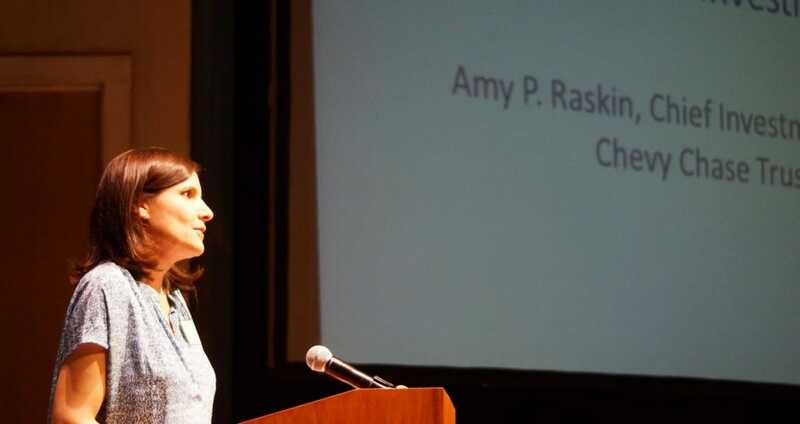 Amy Raskin, Chief Investment Officer, presents a global macro overview and the four steps of the investment process at Chevy Chase Trust’s 2017 Fall Investment Symposium. Michael A. Coke, President and Co-founder of Terreno Realty Corporation, discusses industrial real estate in an urban environment at Chevy Chase Trust’s 2017 Fall Investment Symposium. To view Mike’s full presentation, click here. Michael A. Coke, President and Co-founder of Terreno Realty Corporation, discusses industrial real estate in an urban environment at Chevy Chase Trust's 2017 Fall Investment Symposium. Bobby Eubank, Equity Research Analyst, presents the theme of Automation at Chevy Chase Trust’s 2017 Fall Investment Symposium. To view highlights from Bobby’s presentation, click here. Bobby Eubank, Equity Research Analyst, presents the theme of Automation at Chevy Chase Trust's 2017 Fall Investment Symposium. Leslie Smith, Chief Planning Officer at Chevy Chase Trust, advises on marital finances and financial independence. Spencer Smith, Director of Research at Chevy Chase Trust, discusses the effects of automation on today’s workforce. We have to constantly reassess our understanding of the theme as well as the companies that we invest in. I like to think of Chevy Chase Trust as an investment think tank. Every client has access to comprehensive ongoing financial planning. Everything about Chevy Chase Trust gives our entire team the freedom to practice the art and science of creative thinking. 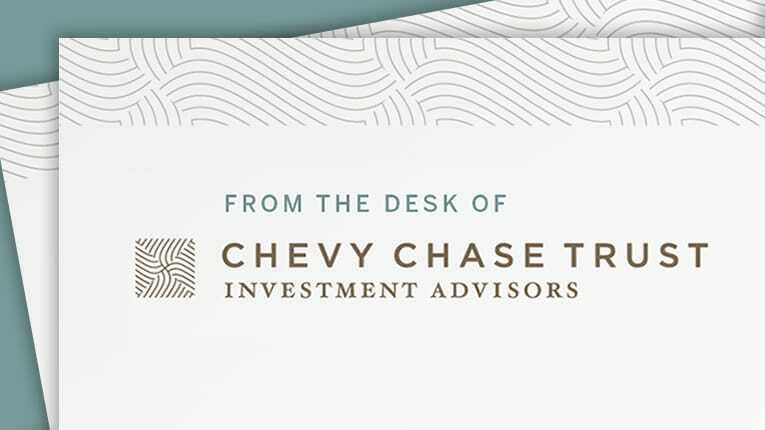 On September 23rd, Chevy Chase Trust hosted its Fall Investment Symposium featuring experts in the areas of investment management, world-wide demographics, and global economics.